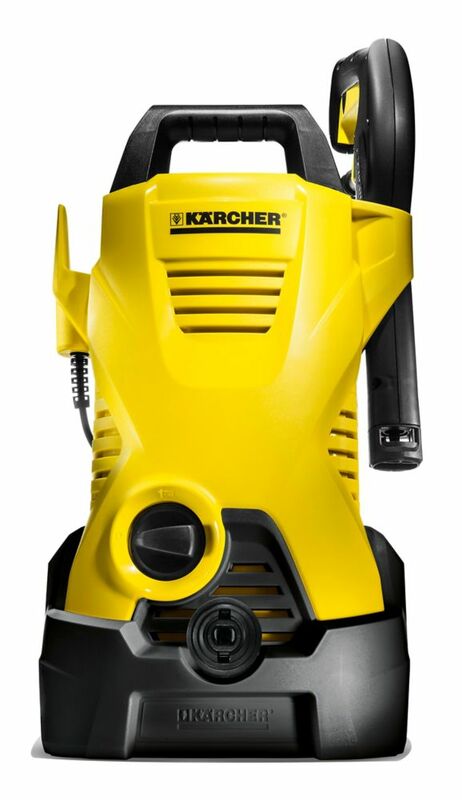 Karcher's 1600 PSI K2 Compact pressure washer delivers the right amount of cleaning power for general household jobs in a compact, easy to use and convenient to store machine. The Vario spray wand allows for quick adjustment between low and high pressure without the need to switch nozzles. For stubborn stains, the patented Dirtblaster spray wand will clean up the toughest chores. K2 Compact 1.25GPM Electric Pressure Washer Karcher's 1600 PSI K2 Compact pressure washer delivers the right amount of cleaning power for general household jobs in a compact, easy to use and convenient to store machine. The Vario spray wand allows for quick adjustment between low and high pressure without the need to switch nozzles. For stubborn stains, the patented Dirtblaster spray wand will clean up the toughest chores. K2 Compact 1.25GPM Electric Pressure Washer is rated 4.2 out of 5 by 59. Rated 4 out of 5 by Rodz35 from Too much plastic but it works rgood.... Too much plastic but it works rgood. Rated 5 out of 5 by Ryno from This is the best little pressure washer. It is made... This is the best little pressure washer. It is made very well. Seems to be pretty tough and durable. The pressure is powerful and consistent. Got a great price on it at Home Depot. I’m very happy with this purchase. Rated 5 out of 5 by MarkT from Easy to set up & works very well. Porches are looking like new with little effort! On towards mor... Easy to set up & works very well. Porches are looking like new with little effort! On towards more projects & hoping it holds up!! Rated 5 out of 5 by Richard from Works great. Clean my deck really well.... Works great. Clean my deck really well. Rated 4 out of 5 by RollOn from So far so good. So far so good.